Newcastle Clinic is delighted to support the Firecracker Ball in aid of Barnardo’s again for 2017. 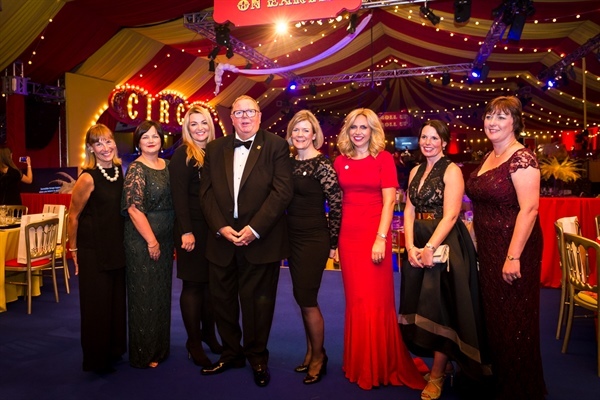 Phil Taylor, Executive Chairman and Director of Newcastle Clinic, is the Vice President of Barnardo’s and Chair of the Firecracker Ball, and the team from our clinic has attended the event for eleven years now. 2016 was Barnardo’s 150th anniversary, and last year’s event raised £285,000. Phil was recognised for his work by the President of Barnardo’s, HRH The Duchess of Cornwall, at an anniversary event at Buckingham Palace last year. 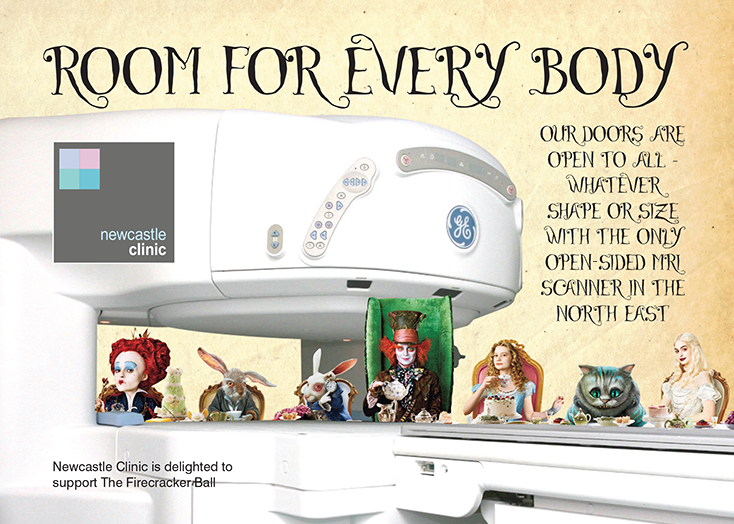 This year’s Alice in Wonderland theme is sure to be magical- as usual, we had fun coming up with a themed advert for the event brochure. After sixteen years supporting Barnardo’s, the Firecracker Ball has raised close to £2.3 million to help change the lives of thousands of children and young people in the North East. Barnardo’s services support young people, children and families. They provide fostering and adoption services, counselling for children who have been abused, and disability support for children, young people and families. Businesses and individuals can help support The Firecracker Ball and Barnardo’s here.